"So what is Magic?" They ask me. You know, they. Parents, grandparents, aunts, uncles, nieces, nephews, girlfriends, boyfriends, coworkers, strangers, everyone—they. This is destined to be a universal question because Magic: The Gathering is so much different from, quite frankly, everything else. They know chess, but Magic isn't quite chess. They know playing-card games like bridge, but again, Magic isn't quite one of those either. 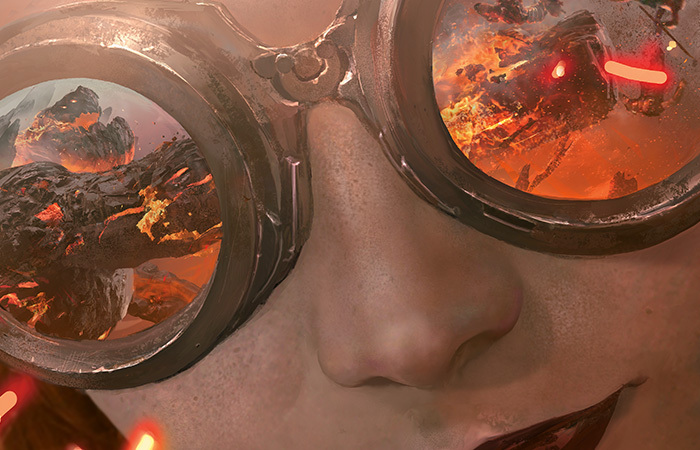 Even for gamers, the small details about Magic—and more importantly, their consequences—are difficult to grasp. For the majority of the people who make up our they, Magic is a completely different world. "So what is Magic?" Is a question that I'm setting out to answer—in short today, and in depth in this ongoing column. Magic is the greatest game on Earth. I feel comfortable making this bold claim in part because Magic: The Gathering can suit itself to the needs of so many different people. Magic is for the collector, the deck builder, the lover of the game's lore or art, and—of course—the player. It's just as well-suited for players like myself, who play every day of their lives, as it is for players like so many of my friends, who only get to play on occasion, once every year or two. Along those lines, I suppose I ought to introduce myself. My name is Reid Duke, and over the span of the last nineteen years (since I was five years old), I've been all of the people above: the player, the deck builder, the collector, and the lover of the Magic world. Today, I'm a full-time professional Magic player and writer. This column won't feature much about Magic storyline, art, or collecting. Nonetheless, my writing will be for absolutely anyone, at any level of expertise, who might one day aspire to play competitive Magic. The goal is to take you from the most basic concepts of Magic all the way up to playing at a competitive, Pro Tour Qualifier (PTQ) level. Starting here. So without further ado, let's take a look at the gameplay of Magic. It's not particularly scientific, but when I can only give a one-sentence, cocktail-party answer to their question, I might say, "You can think of Magic as a cross between chess and playing-card games." Magic shares some similarities with chess, but it also features some very key differences. Both are one-on-one strategy games; at the simplest level, your creatures are your chess pieces and your spells are simply one extra layer of support for them. Both games require strategic thinking, long-term planning, and an eye for advantageous openings. However, in chess, the whole game is laid out clearly on the table, where in Magic there is uncertainty. While there are a number of variables in tournament Magic, far and away the most prominent is simply that you can't know what card will be coming off the top of your library (or your opponent's) next. Chess is about thinking several moves ahead. The same is true of Magic, but with the extra challenge of considering possibilities. What can happen if you draw a land next turn? What if it's a creature? What if the opponent draws a way to take out one of the creatures you left back as a blocker? Playing the game without knowing exactly what the future will bring adds a layer of complexity. It also means that every game will be different, even between the same two players using the same two decks. It would be difficult to memorize openings in Magic, because you won't know exactly what you'll have to work with until the game starts. Let's say that in chess I always move my knight first. Well, in Magic I might not even draw my "knight" at all! What's more, my decision to move my knight first is based on the way it matches up against my opponent's pieces. In Magic, you also don't know for sure what "pieces" your opponent will have. In addition to the variance aspects of the game, there's also uncertainty in that you don't know what cards your opponent has in his or her hand or library. Often, you'll face situations where one choice is better if your opponent has a removal spell, while another choice is better if he or she does not. You might have a powerful spell to cast, but you'd rather wait on it if your opponent has Dissipate. Cases like these can feel largely like a guessing game, but there are, in fact, a number of techniques you can employ to help you work toward making the best possible decision. What Skills do You Need to Play Magic? In the aspects of variance and hidden information, Magic more closely resembles games played with a standard deck of playing cards, like bridge. In the movies, Wild Bill Hickok might see the tiniest twitch of another cowboy's eyelash and immediately know, with mortal certainty, that he's holding exactly the Ace and Eight of Spades. Moments like this (at least to my knowledge) are the things of fiction. While there are certainly times when a variety of factors can combine to give you an educated guess about what's in your opponent's hand, you do not need any mystical powers to be great at Magic or at other games of hidden information. In my experience, it's rare for two Magic players to engage in a deadly staredown in the wake of a game-changing bluff. Similarly, the times when you want to pull out your calculator and pinpoint your odds of drawing a certain card are also few and far between. If you're a wizard at reading your opponents, then great! If you're a lightning-fast and razor-sharp mathematician, that's a skill you should bring to the table! These things will come up from time to time, and they may accelerate your growth as a player. However, for my money, they aren't the most important skills in Magic. Handling uncertainty in Magic is less of an exact science and more a matter of simply being aware that these possibilities exist. Some games, you won't draw as many lands as you like. Other games, you'll draw far more than you can use! Sometimes, your opponent will have Flesh to Dust for your powerhouse creature and other times he or she won't. These uncertainties are in the background of every game of Magic, and that's the point! All you can do is be aware that not everything is under your control. The first and foremost skill in Magic's gameplay is simply the ability to play your own cards well. To truly master the game, it can be helpful to learn to read your opponents and to brush up on your probabilities. However, these things should come after (long after) learning how to best deploy the resources that your deck gives you. In short, focus most on the "chess" aspects (the board, the information you have), and simply be aware of the "playing-card game" aspects (variance and hidden information) that underlie everything. 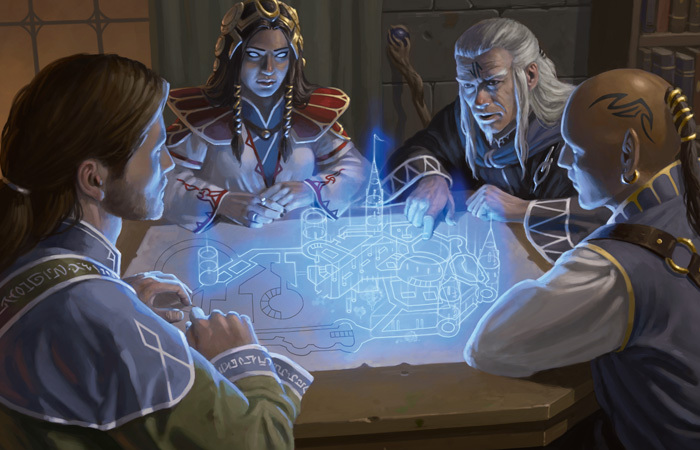 As this column moves forward, I'll be going into substantial detail about a number of ways to improve the way you play your cards in a game of Magic. For today, though, let me leave you with the number one, most important skill for Magic's gameplay. Other names for the same thing would be "thoughtfulness," or "presence in the game." This is not a natural talent that some people are born with and some are not. Every single person reading this can force him- or herself, the next time he or she plays a game of Magic, to slow down a little bit; to minimize your distractions; to keep thinking about the game during your opponent's turn, instead of letting your mind wander. If you want to play good Magic, focus is the most important thing. It will lower your chances of making silly mistakes and raise your chances of seeing winning plays. It will provide you with more hints about what cards your opponent might be holding. Perhaps most importantly, it will accelerate your learning process, because you'll have a better understanding of what's going on, and you'll be better able to pinpoint where things are going right or going wrong. To recap, here's a short list of skills a Magic player can cultivate in order to improve his or her game. General strategic thinking: How can you win? How can you stop your opponent from winning? Looking for opportunities: Is your opponent vulnerable to an attack? Is this a good time to get in some damage? Thinking a move or two ahead: Is the game going to come down to a damage race? If so, how can you make sure you win that race? Factoring in variance: Remember, you don't need to be a math wiz; if you can count, you can be good at Magic. Just remember that you don't have total control of what comes off the top of the library, and try to make the most of any situation. Considering hidden information: And you don't have to be a mind reader either. You're not meant to know every card in your opponent's hand at all times. However, sometimes you might get a hint or two. What are the likely possibilities? What is your best play for each of these possibilities? Focus: Be present in the game, be aware of everything on the board, take it slow, and don't jump in without thinking. "So what is Magic?" That's my short answer to a complicated question. Check back next week when I'll begin to explore some more advanced concepts in Magic. Until then, take it a little slower, think things through a little more, and remember to focus!